The Congress Thursday announced 12 more Lok Sabha candidates from Madhya Pradesh which included Nakul Nath, son of Chief Minister Kamal Nath. Nakul Nath will contest from his father's constituency, Chhindwara. Kamal Nath himself was fielded from Chhindwara Assembly seat, where by-election is to be held along with the Lok Sabha polls. 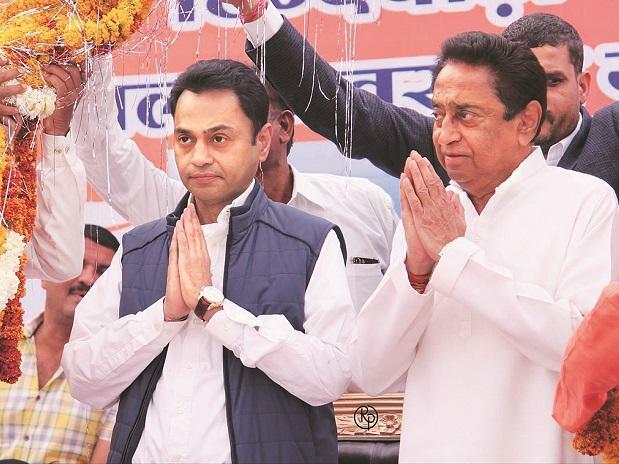 The assembly seat was vacated by Congress' Deepak Saxena after Kamal Nath, the sitting Chhindwara MP, took over as chief minister and consequently needed to get elected to the state legislature. With this list, the Congress has so far announced candidates for 21 out of 29 Lok Sabha seats in Madhya Pradesh. Nakul Nath will be hoping to succeed to his father who has represented Chhindwara in the Lok Sabha ten times. Former state Congress chief Arun Yadav, also a former Union minister, has been nominated from Khandwa, while former Leader of Opposition Ajay Singh, who had lost Assembly election from Churhat last year, has been fielded from Sidhi Lok Sabha seat. All India Congress Committee Legal Cell Chairman Vivek Tankha will contest from Jabalpur, where he will face state BJP president Rakesh Singh, the sitting MP. Singh had defeated Tankha in Jabalpur in 2014. Other names in the Congress' list included Prabhu Singh Thakur (from Sagar), Pratap Singh Lodhi (Damoh), Rajaram Tripathi (Satna), Siddharth Tiwari (Rewa), Kamal Maravi (Mandla), folk singer Prahlad Tipaniya (Dewas (SC)), Babulal Malviya (Ujjain (SC)) and Dr Govind Muzaalda (Khargone (ST)). The Congress has yet to announce candidates from some key seats including Vidisha, Gwalior and Indore. Nor has the party announced its candidate from Guna, represented by AICC general secretary Jyotiraditya Scindia. Guna and Chhindwara were the only seats won by the Congress in the state in 2014 Lok Sabha elections.